Bruce Brechtbill Rhododendron-Hybrid Rhododendrons- Rainer Rhododendrons Nursery, Washington. 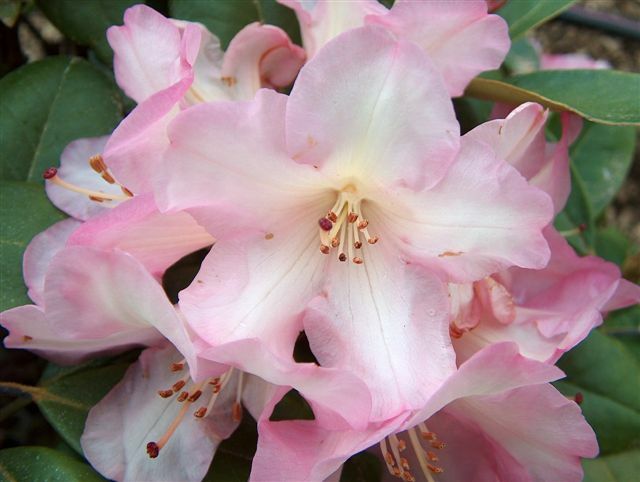 Bruce Brechtbill Rhododendron is a beautiful pink flowers with a light yellow throat. Grows as a compact dense shrub.